There's always a lot happening at Cutting Edge Helicopters. If you have any interesting news relating to our business or the industry please do let us know. 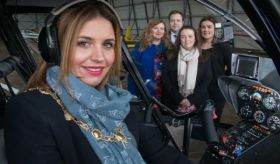 The owner of a Londonderry helicoptor tour firm says a local Council initiative has been pivotal in helping it launch a new 'Game of Thrones Tour' from its Eglinton helipad. We've been working hard on our brand re-fresh recently and our new logo is just the beginning! We are also launching a new helicopter sightseeing tour in Donegal this summer and you will catch us pleasure flying at all major events throughout the country. Watch this space for further information and we hope to see you on-board soon! 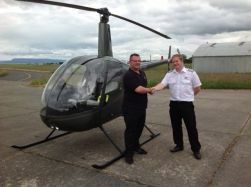 "I started my PPL course with Cutting Edge Helicopters in October 2009 and within 6 months I had passed my skills test. I found the level of instruction to be excellent and the cost was very competitive. 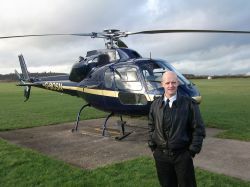 I thoroughly enjoyed my time at Eglinton and would highly recommend it to anyone wishing to learn to fly helicopters. The skills and techniques I picked up from my PPL days have helped me get where I am today - the proud holder of an Instrument Rating. Thanks to Jason and all at Cutting Edge Helicopters." 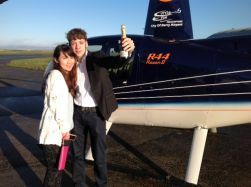 Congratulations to William and Cecilia on your engagement flight. William surprised Cecilia whilst hovering over the Mussenden Temple and asked her to be his wife. After saying 'yes' Cecilia and William were then treated to a tour of the spectacular north coast. 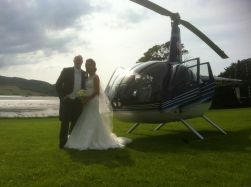 We would like to wish them both all the very best from all the team at Cutting Edge Helicopters. If you would like to surprise somebody special then why not contact our office to see what we can do for you. Our 2014 events calendar is taking shape with a number of events taking place throughout the year. 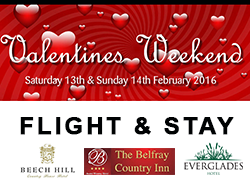 Flight vouchers can be purchased online in our events section for each venue, over the phone or at each location. We hope to see you throughout 2014 at one of our many events. 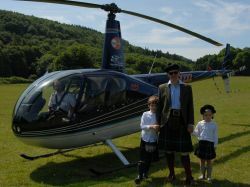 Lord Dunluce and his two children enjoyed a fantastic tour of the Glenarm estate, except this time it was from the skies! He toured around the locality, and was impressed by the breathtaking views , made even more spectacular by the perfect weather conditions. From the air the passengers could see as far as the Mull of Kintyre and across to the Scottish Mainland. 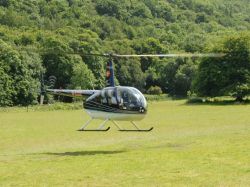 We would like to thank everybody who flew with us over the last two days at Glenarm Castle Highland Games. The superb weather made for some spectacular flying along the stunning coast. We had passengers from all over the world, including some of the Ulster Scots of America. One of our passengers was Lord Dunluce himself, who thoroughly enjoyed the experience. Over 400 passengers took to the skies and we hope to see you all there next year! What a great highlight of the summer. Cutting Edge Helicopters were delighted to fly newlyweds Judith and Damien on their special day to make it a day to remember. Judith booked the flight as a surprise for Damien allowing them to get some amazing pictures and take in all the sites of the city. 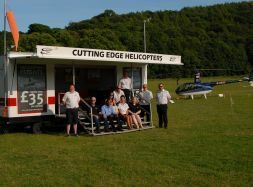 The Cutting Edge Helicopters team would like to wish them both a long and happy marriage. Congratulations to Don Justin on his first solo in the Robinson R22 helicopter today. Don has been making great progress over the last week and is looking forward to gaining his PPL with Cutting Edge Helicopters. Well done Don!